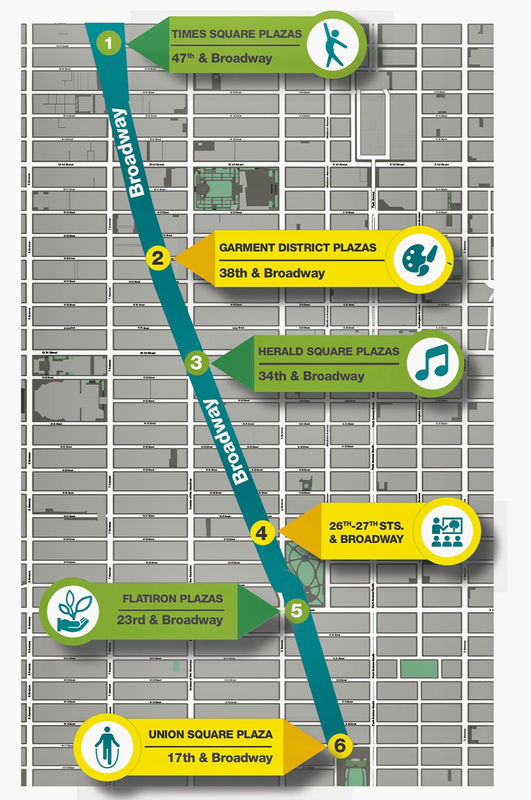 Broadway Bouquet via Terrain Work will be located at the Flatiron car-free location at 23rd street. 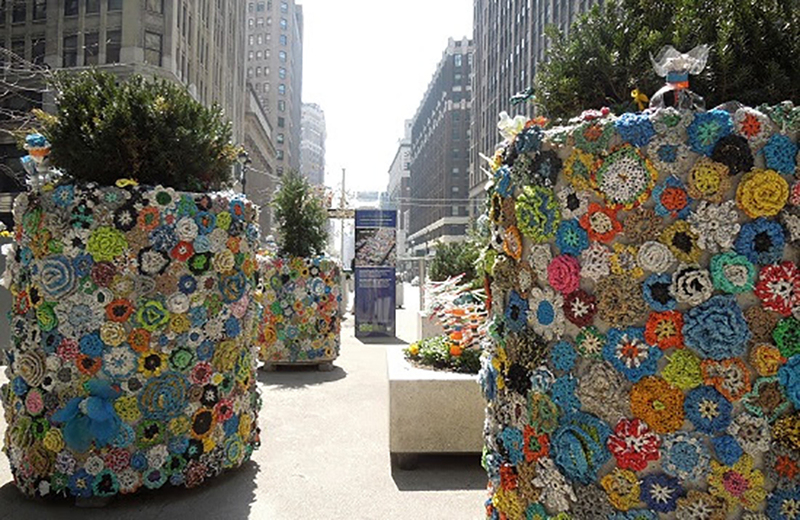 Broadway Bouquet by Terrain Work will be on view for Earth Day at the car-free area of the Flatiron District, 23rd Street, on view from 9am to 3pm. 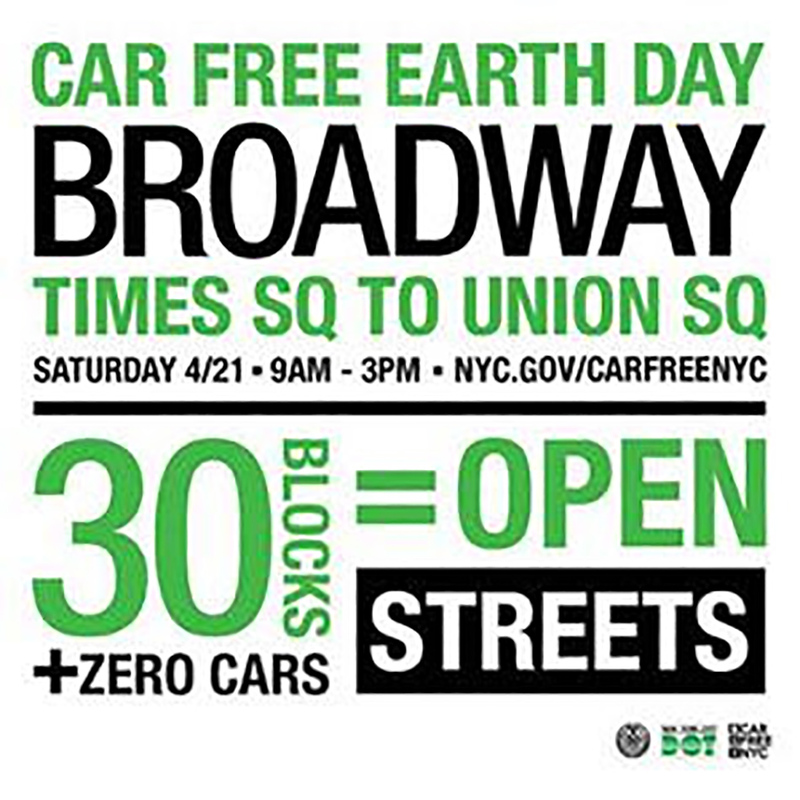 Earth Day 2018 will include lots of activities along the car-free route, including dance and musical performances, fitness classes, historical walking tours, public art installations, children’s activities, giveaways, arts and crafts workshops, cycling activities, educational programming, environmental and sustainability workshops and demonstrations. Isabelle Garbani, Les Fleurs du Mal for Garment District Alliance at 38th Street. Photo credit: Isabelle Garbani via Garment District Alliance. 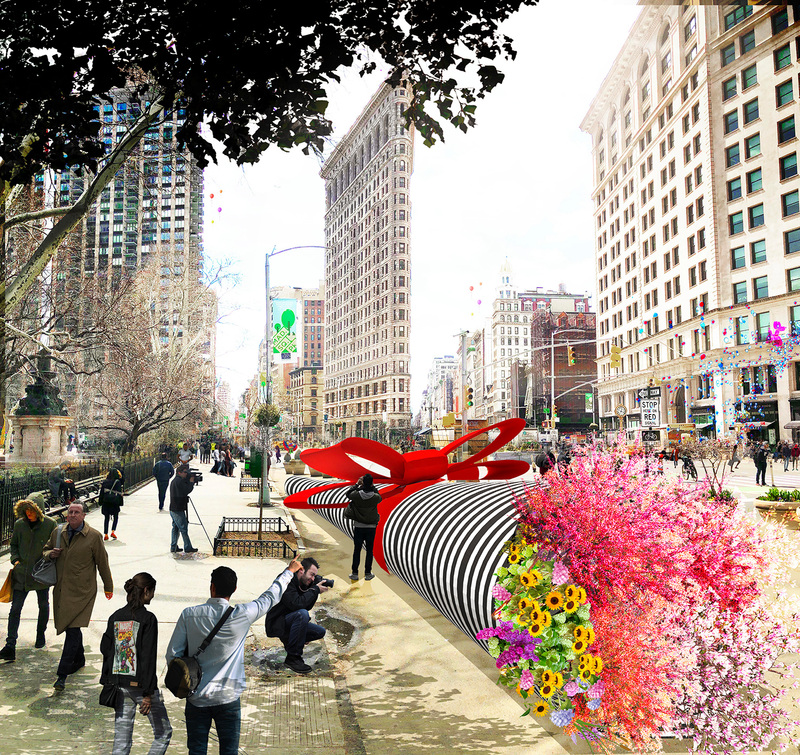 Above, by French-born artist, Isabelle Garbani, the installation “Les Fleurs du Mal,” an environmental public art installation comprised of recycled objects at the Garment rest stop on 38th Street and the 36-foot long “Broadway Bouquet” by Terrain Work at the Flatiron rest stop on 24th Street. 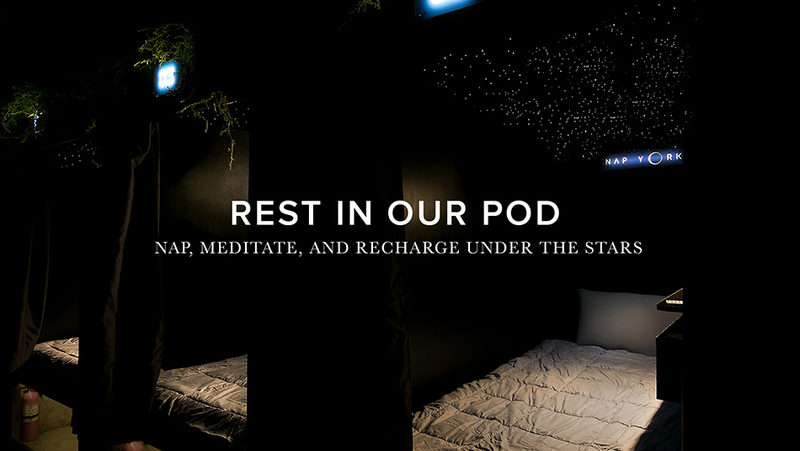 Programming locations will be located at Times Square Plazas; Garment District Plazas, Herald Square Plazas; 26th-27th Streets; Flatiron Plazas; and Union Square Plazas. 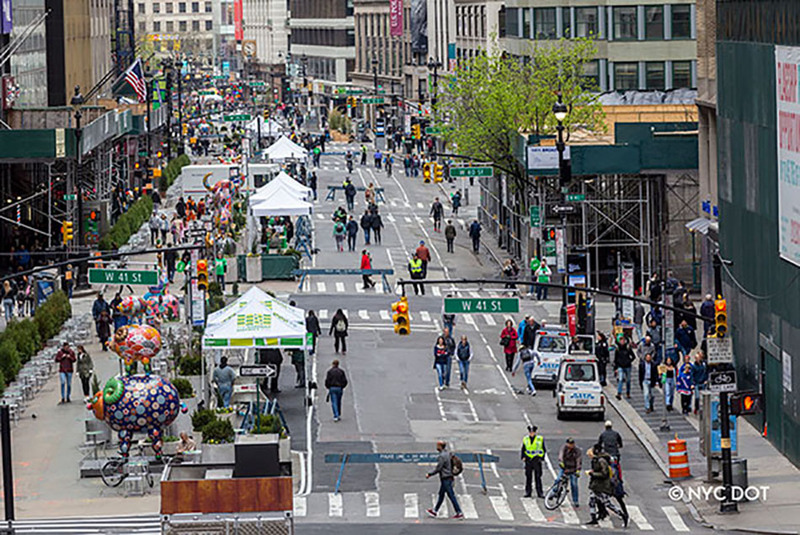 As a side note, major crosstown streets will be open to traffic and all crosstown bus routes will be unaffected.